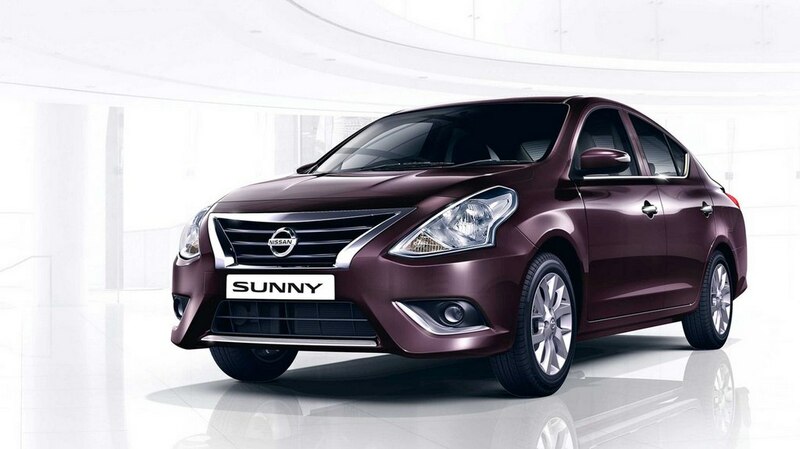 Nissan India has announced today that the Sunny sedan will be offered at an attractive revised starting price of Rs. 6.99 Lakh (Ex-showroom, New Delhi). With the price cut of almost a lakh rupees for the base model, the Sunny has become the most affordable premium sedan in the domestic marketplace. The new price range will come into effect from today onwards across all authorised Nissan dealerships in India. The flagship sedan follows the “Make in India” theme as it is manufactured at the company’s Oragadam Plant in Chennai. Due to the localised production, the Sunny enables significantly lowered price range. The Japanese manufacturer says the Sunny will enable the opportunity for customers to upgrade from compact sedan and on to more spacious premium sedan at a nominal increment in price. With the aggressive price bracket, Nissan now offers highly accessible CVT options: one with the Sunny and the other with the Micra compact hatchback. The petrol XV variant of the Sunny equipped with CVT automatic transmission is priced at Rs. 8.99 lakh and due to which it has become the most affordable CVT (Continuously Variable Transmission) sedan in India. Nissan launched the Sunny for the first time back in 2011 and through its more than half a decade of lifespan, it has seen a facelift. Offered in two engine options, the Sunny features a 1.5-litre diesel engine found in the Terrano producing 85 bhp at 3,750 rpm and 200 Nm of peak torque 2,000 rpm. The 1.5-litre petrol unit is good enough to pump out 98 bhp at 6,000 rpm and 134 Nm at 4,000 rpm. The petrol engine is either mated to a five-speed manual or a five-speed CVT automatic transmission while the diesel only gets the five-speed manual. The petrol MT has a claimed mileage of 16.95 kmpl whereas its automatic sibling is rated with 17.97 kmpl. The most fuel efficient Sunny is the diesel MT which is said to return 22.71 kmpl. The Sunny is sold in six different colour options: Onyx Black, Night Shade, Blade Silver, Bronze Grey, Pearl White and Sandstone Brown. The sedan measures 4,455 mm in length, 1,695 mm in width, 1,515 mm in height and has a wheelbase of 2,600 mm that gives way to ample cabin space. It has a ground clearance of 161 mm while the bootspace is rated at a massive 490 litres.